Positive power supply board. 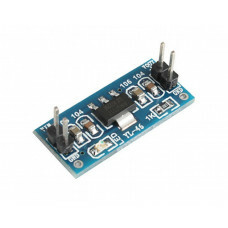 Its basically takes an input of 4.3-15V DC and outputs a constant voltage of 3.3V. It can supply a maximum of 1A of current at 3.3V. The board comes with appropriate rectification, filtering circuit, a power indication LED and mounting holes for easy mounting. The Power Supply Mini Board is the ideal solutions, providing a postive supply at constant out for projects & systems etc.